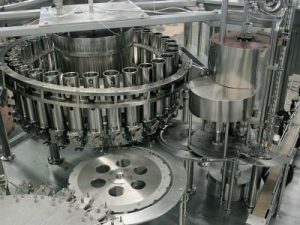 This energy drink filling machine is used for producing non-carbonated beverage such as sports drinks and vitamin drinks.Can be filled with PET bottles and glass bottles.The energy drink filling equipment can form a fully automatic energy drink filling production line with other automatic secondary packaging equipment. 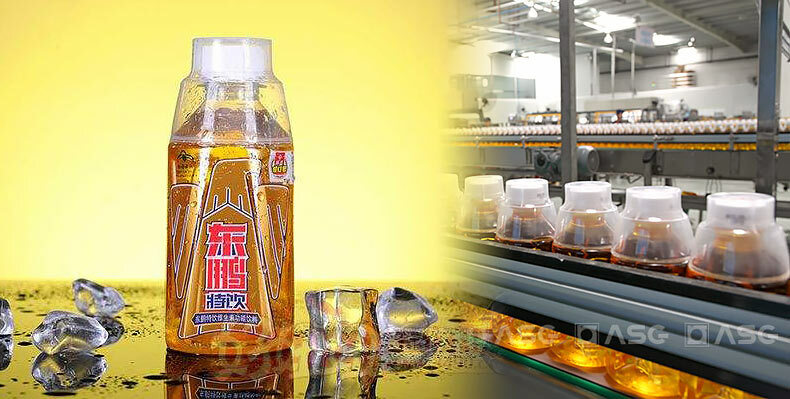 The bottle washing part of the energy drink filler. 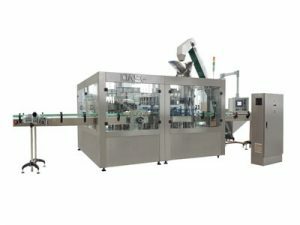 1) This energy drink filling machine has compact structure, complete control system, easy operation and high degree of automation. 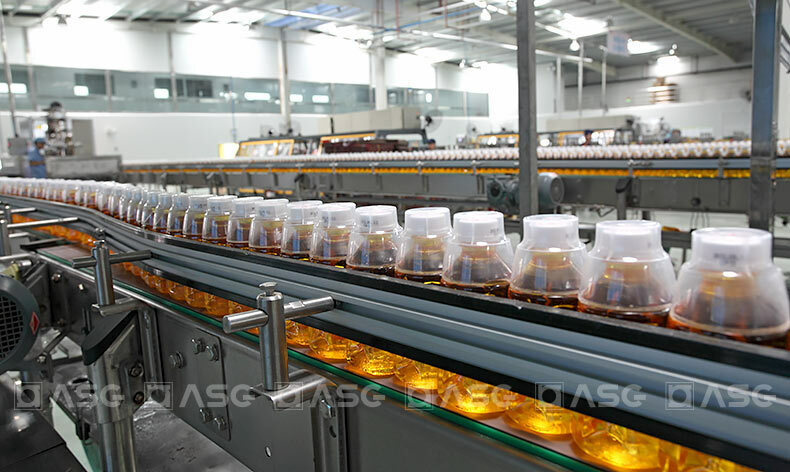 2) To change bottle shape, the operator only needs to replace the star-wheel, inlet bottle screw and arc guide plate. 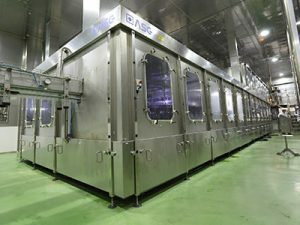 3) The parts contacting media are made from SUS and have no process blind angles to enable easy cleaning. 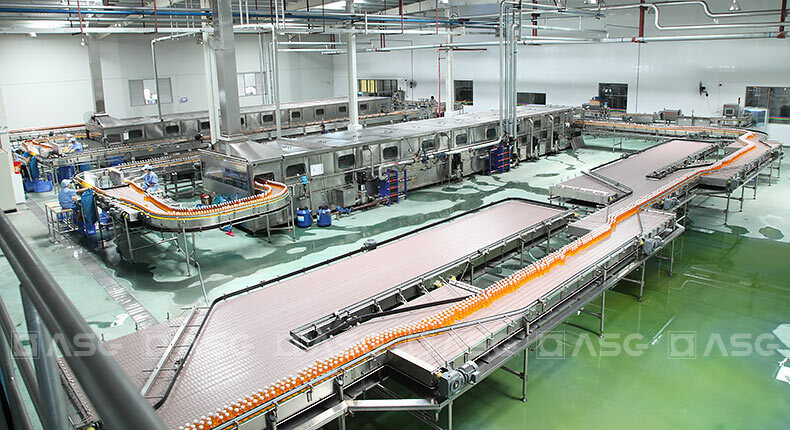 The picture is the production site of Dongpeng drinks in China, and the relevant packaging equipment is used ASG energy drink filling machine. 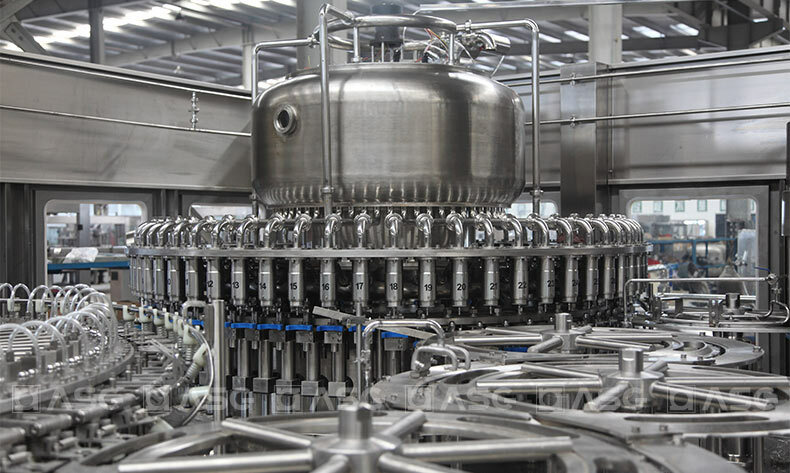 4) High speed filling valve, guarantees liquid has precise level and no waste is incurred. 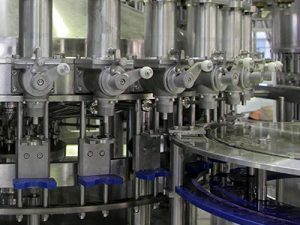 5) The capping head applies a constant magnetic torque device to secure capping quality and prevent damage to the bottle cap. 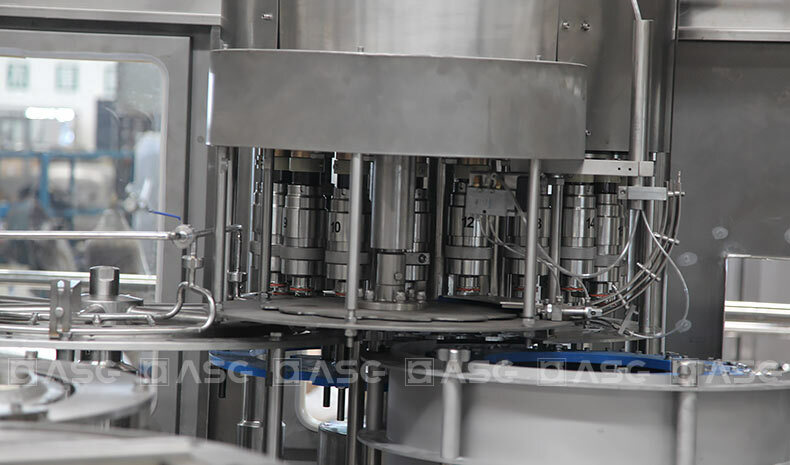 Reliable and stable filling valve is the core part of the energy drink filling equipment. 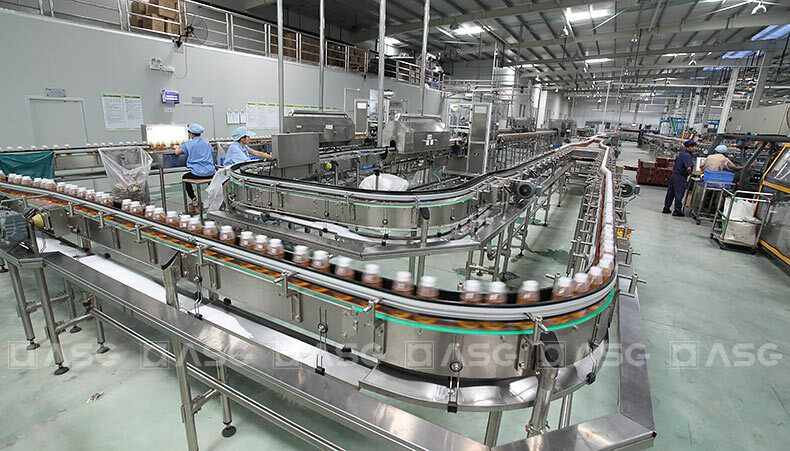 6) The control system has the function of control producing speed, cap shortage detection, bottle block auto stop and production counting. 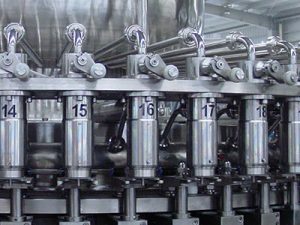 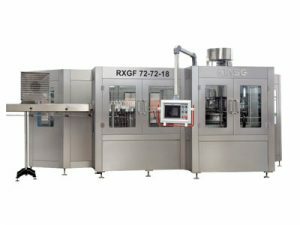 7) The energy beverage filling machine applies a highly effective cap arranging system that has complete self control and protective device. 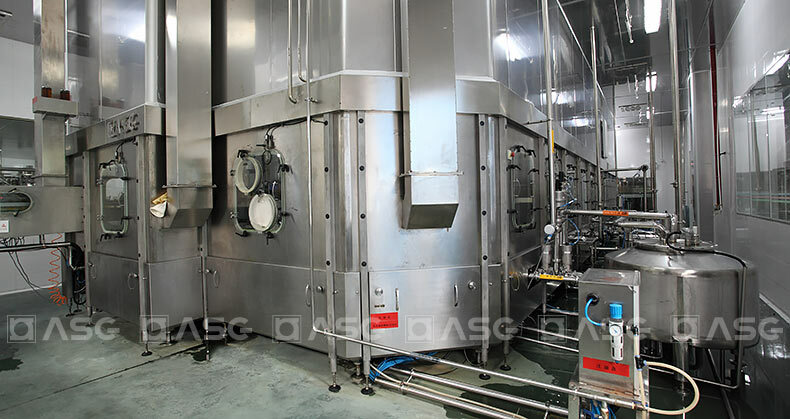 8) The energy drink filler machine is equipped with a complete overload protection device that can secure equipment and the operator effectively. 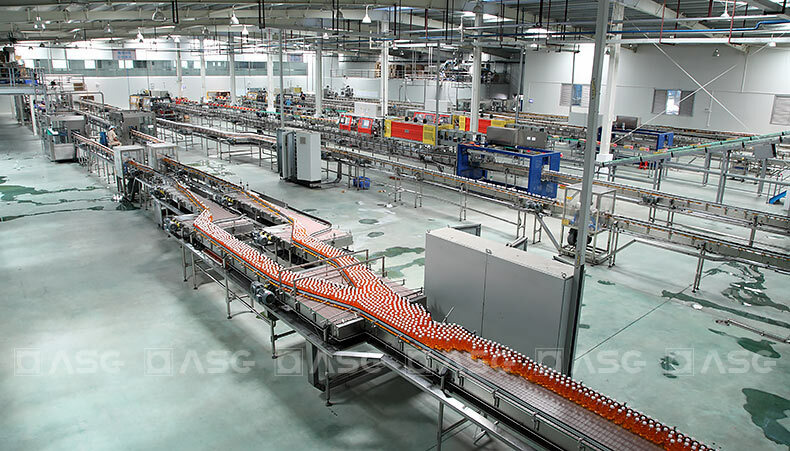 9) Energy drink production line‘s electric components and pneumatic components apply world famous brand productes. 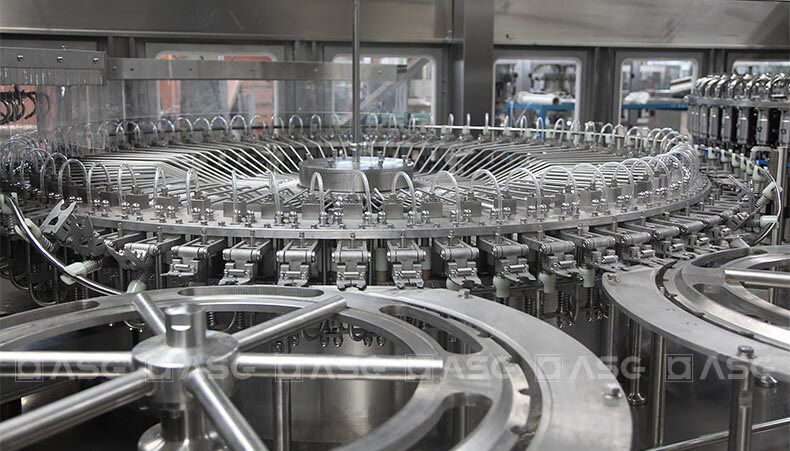 10) This energy drink filling equipment’s operation is controlled by an advanced touch-screen that can Fulfill human-machine communication.